Local firm Hashrag are helping us to raise awareness and valuable funds for our amazing charity! Help us to raise our profile on the social networks by wearing our individually designed hashrag! You can easily buy your own online by clicking this link to the Hashrag website and place an order. 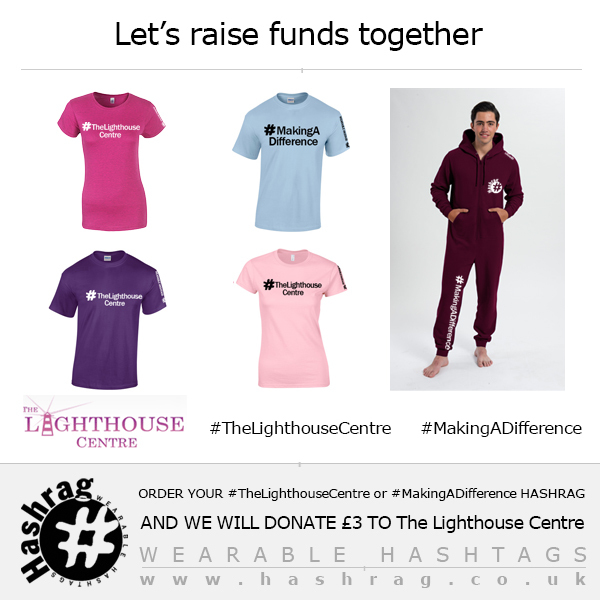 Every garment sold with our #MakingADifference hashtag will mean that we receive £3.00 from Hashrag and you be promoting our charity.